Don't worry, it is. Waay off. Saying engineers can't "people" is like saying sociologists can't "math." It's simply not true. Some of the best leaders I met in my Army career were engineers, in education or vocation or both. So yeah. Waay off base. Almost all of the engineers I worked with while in the USAF were down to earth, level-headed leaders. Sticklers on details, but that was a good thang. The only one I ever had an issue with was an academy grad. Does this mean JoeD is the proverbial blind hog? Well, some good from this. 1. UT guy--double major from UT, so we do get what we want which is an individual with deep ties to UTK and knows the passion. I do not know him personally, and I see he is putting off retirement to serve in this role and it is a 6-12 month appointment. That makes me a bit nervous as that will be about the time HOH would get to "name" their replacement. But for the interim, at least this is a person with deep ties to the university. You are right. He put off his retirement to help his alma mater. I seriously doubt he is here for the long haul and this gives HOH time to hand pick another puppet. Even if he wanted to stay, he would most likely not be retained by HOH anyway. Good for Dean Davis. I'm still slightly miffed at them naming my alma mater the Thickle College but otherwise I think he has a done a great job in Engineering, should be a good stable hand the university could use for a while. I always thought the Davenport hiring was a PR move amidst the Title IX investigation. She may not have been the best candidate. I think youre absolutely right here, on both counts. Did you ever have Dr. Michael Roberts? He's pretty infamous in the EE department. Yes. I know him well. Infamous would be an understatement. His classes (had him for 315/316) sucked donkey balls, but he will make a man out of his students, and he did exactly that to me and I respect him for it. I never really had a bad professor in the EE department. Lawler (325/421/482), Crilly (342), Green (300) and Roberts were tops in my book. All have joined the emeritus ranks now. All this is starting to feel quite perfunctory though as Haslam angles for the presidential chair. Gotta question DePietros decision making process in hiring The Bev in the first place though. 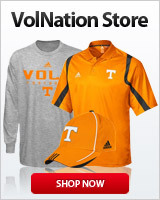 I am happy to see that they finally hired a Tennessee guy, unfortunately only as interim. I think at least the last 4 or 5 came from somewhere else, and all had some questionable actions during their time as chancellor. I think Davis will be good, but considering his age, will probably not become the next permanent chancellor. I know him personally. He's definitely not a Haslam puppet. The man will try to work with anyone that could benefit the University. If anything, he is the engineering version of Fulmer in that regard. He doesn't care what your last name is, but he does care how you can help the University grow. Apparently we’ve named four finalists for chancellor. It’s down to Donde Plowman, Brian Noland, William Tate, and Bill Hardgrave. I still think every single administrator that signed off on hiring that crazy cat lady Davenport should have their pay cut drastically to help offset the buyout costs. Noland has some ties to UT, has his Doctorate from Knoxville. Don't know about the others, but bringing in a guy from Washington-St. Louis would be a big academic feather in the cap I would say. Did that guy from Bootleggers donate the money for the Tickle building? Brian Nolan has my vote he's helped turn around ETSU sports programs. He would give the AD everything he need to be successful. Just as with every single hire since Dr. Joe was the president and then again as interim, there has been nothing but cluster hires!!!! This includes administration all the way down to athletics. Joe DePitro was a lazy joke! Engineers can seldom see beyond black and white, sometimes having difficulty stepping back to see entire picture. Have a penchant for being extremely conservative...this hire was made extremely quickly. its almost as it it were pre meditated, or, someone high above hand picked a yes man. Wonder who would make a power move to install a staunch conservative yes man? Does this sound like Haslam? i hope my stereotype is waay off base. the man IS qualified. i dont mean to incite anger about bias toward wngineers. i just dont trust the Haslam's as far as they can be thrown. Also feel like as long as theyre involved in UT athletics, we're doomed. Your stereotype is way off base. Thanks for your reply. I know several engineers as well. It seems like the personality type you described is more of an anomaly than a norm. Sounds like he's been blessed with not only a high IQ, but great EQ and administrative kills. I don't ask folks to change to said viewpoint, only to be open to another viewpoint. That's all one can ask? I'm open to telling you that you are wrong. but it isnt. and you certainly are open to feel however you wish & opinions are as such. ill just leave it there. Oh I don't really give two sh*ts about your opinion. Its based in ignorance and stupidity. I'll just leave it there. Noland has my vote, which I know doesn't count. Met him several times and he's a very down to earth guy who isn't afraid to stop and mingle with us common folk. His wife is just as nice n personable as he is. Sooooooooo, with that being said I'm ready for the nut shot when we hire one of those others I've never heard of. Like what Noland has done sports wise at ETSU. Academic Arena though not so sure, there was a rally held at ETSU today to protest 21 years without wage increases for some employees. The stereotype of an engineer, heads down over a calculator, or with a hard hat and a set of blueprints is accurate to a degree. But, if you have ever been to a city planning meeting or a public forum where an engineer has to defend his design to the public, political savvy is as much a part of the job as any other politician. One thing about engineering - the whole concept of an engineer is to solve problems. First 3 years of undergraduate school is calculus, chemistry, physics (with a very small tad of English put in there). These courses set the groundwork for being able to describe the physical world mathematically. With that knowledge, not only do engineers solve problems, but they attempt to solve them with the most efficient solution, looking at things like material selection, sizing and labor costs. This is a good skill set that can be applied to many different jobs, including Chancellor. My first employer after graduating from the UTK College of Engineering once said "A good engineer can do for a dollar what anyone can do for two." At our core we are problem solvers, typically in as few steps as possible. Other than that our cross section is like any other ilk. All sizes, genders, persuasions and political beliefs. I would think anyone with an excellent record of administrative kills would work perfectly at UT.